Finding Anastasia, the little supernatural sewing circle, as well as the office building showdown, and Operation Bromance. Plus, a crackpot theory on who the new Guardian is, who the Candy Killer is and more in our in-depth discussion of “Sisterhood”! 7×15 “Sisterhood”, as a whole, wasn’t a bad episode. However, it’s certainly not as good as last week’s either. There are some definite issues but we aren’t super mad about them because we understand that by the time the episode was produced, they knew that this is the final season anyway. They are also seemingly wrapping things up rather fast. For instance, our theory about Anastasia being the Guardian was correct and was proven in one sentence. How did Drizella know that Anastasia is, indeed, the Guardian? Drizella seems to know a lot about things that we didn’t know about. It was also nice to finally find out that what Rumplestiltskin really wants by “getting back to Belle” meant that he actually just wants to die when he was told about his desire to “join Belle in the afterlife”. However, with only 7 episodes left, they do have to wrap things quickly. And with Agents of S.H.I.E.L.D. 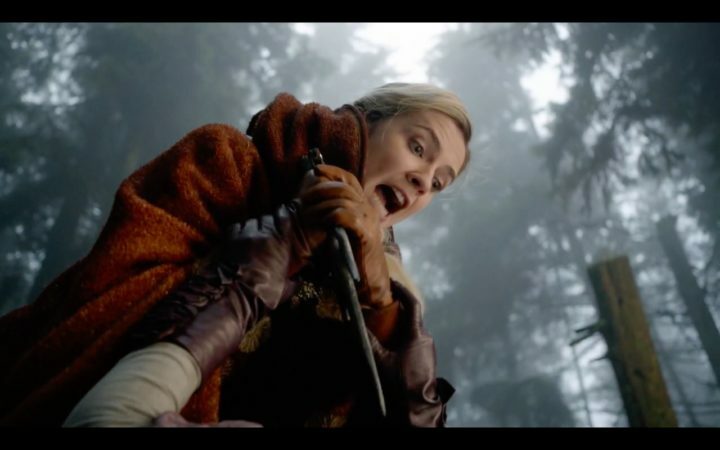 having the same episode number as Once Upon a Time, a 2-hour finale might not happen like we usually had in the past seasons. Hey all, I’m a long time listener and infrequent feedbacker and just wanted to share some thoughts I’ve had on this season so far. In general, while I don’t love this season, I don’t hate it. I really like the dynamic between Alice and Robyn, but was very disappointed this week when we didn’t see either character. It’s really hard to get invested in a story when you see a character one time and then not again for several weeks. I feel like each episode stands alone and doesn’t feel like there’s any form of coherent story. When they have so many stories going on at once, it becomes really hard to follow. Between Henry and Jacinda, the basic Hyperion Heights plot, Alice (and Hook) and Robyn, Zelena, the Guardian, Cinderella’s story, Tiana and Facillier, Gothel and the Coven, and likely more that I’m forgetting about, it is so hard to see what part of the story I should be focusing on. And I feel that a lot of viewers are also probably struggling with the longing for unresolved stories of the past. Additionally, it feels like they’re still opening up new stories, and I’m still waiting for all of the current ones to be tied together, and it really doesn’t feel like that’s possible with not just 7 episodes left in this season, but the series. And it would feel like an incomplete ending if the series as a whole wasn’t resolved in addition to the season 7 stories. When you put it like that, they definitely need to send the girls home, though it will probably create some problems that we’ll get to in the next episodes, such as Gretel’s death. Will it carry on in the next episode? Or is that storyline done and over? We talked about the spiral on Alice as well as Ella’s dad because their hearts were poisoned in the past podcast and its relevance, and found the spiral in the movie Moana. In the movie, Moana carried a rock with a spiral on it, which is the representative of the heart. While we don’t think they’re going to bring Moana into the series anymore, it was a nice nod to the movie. What was the significance of Drizella and Anastasia playing Hide and Seek in the woods, in the rainy dark weather? 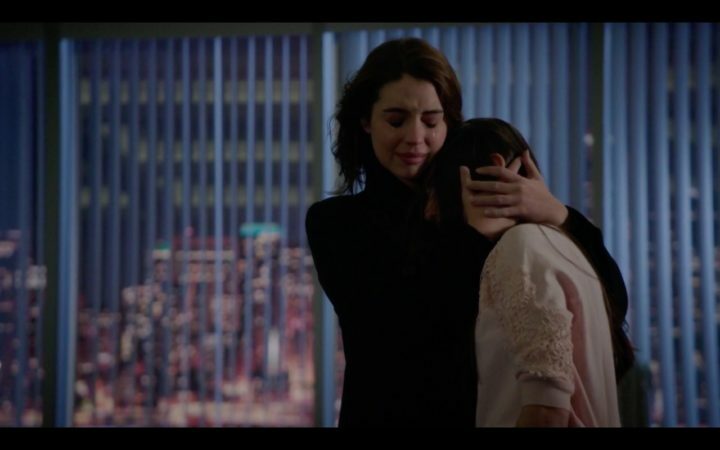 Adelaide Kane’s has always been on point and this episode is no exception; she is good at showing emotions that she’s supposed to show. 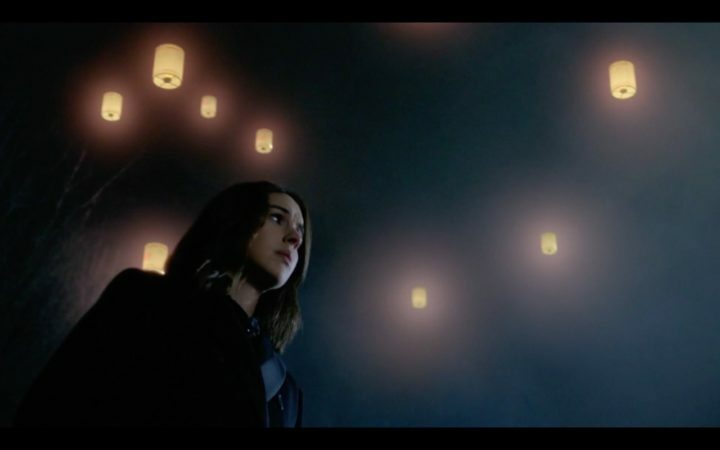 Are the lanterns magical? If it is, why did they just lit it up to the sky to lead their mother home instead of using them to lead them to their mother? And why didn’t they just use a spell that we’ve seen before for consistency’s sake? Maybe it because Anastasia’s not trained so she probably doesn’t know any locator spell. Meanwhile, back in Hyperion Heights, Anastasia’s full of one-liners that gave us all the information we needed. It was cool to learn some rules about magic when Drizella told Anastasia, “If you kill me, you’ll sully your pure heart, and if I kill you, she gets the magic too.” So if Anastasia, who’s the supposed Guardian, who is the new Guardian now? The new Guardian is most likely Henry (everyone’s other guess). It’s nice that they have potentially found a way to make both theories correct. When Rumple went to the place where the Guardian would be waiting we hear Henry’s motorcycle. Several people have commented about Henry having a pure heart. He has the heart of the truest believer. He has descended from a lineage of light and dark magic. For years people believed he would be the one to wield both light and dark magic. So it makes sense he could be the Guardian. Is Henry going to be the new Guardian? What exactly does the Guardian do? And if the Guardian is the one that can wield both dark and light magic, did Rumple not wield both light and dark magic last season to end the final battle? Was that not the whole theme? What about Regina? She also wields both dark and light magic who was once super dark and is now one of the heroes. Could she be the next Guardian? Why is Gothel looking for the Guardian? Is she looking for the Guardian to get the Dark One dagger for herself? Perhaps they just wanted us to clearly have a defined way of where we’re headed next. Which, unless they make this an essential part of the finale, the entire storyline about the Guardian could be resolved in 3-4 episodes. 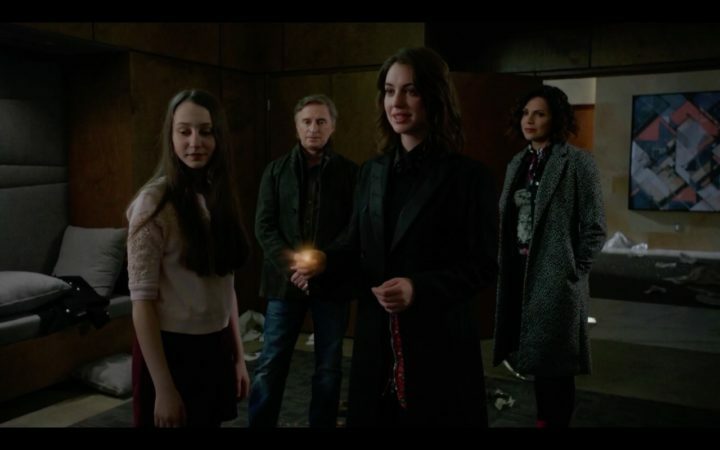 Will Anastasia and Drizella returns, armed with a cure for Henry, as well as a way for Rumplestiltskin to get cleaved from the Dark One dagger so he can be reunited with Belle in the afterlife once and for all? Furthermore, how can Henry become the Guardian if he is next in line? Henry has the heart of the truest believer, but does he even has a pure heart? Why don’t Lucy and Henry have magic? On the bright side, there aren’t any timeline issues in this episode, just a couple of issues with timeline of their story. Specifically Ivy turning on Anastasia for a little while when she told her sister, “if it comes down to you or me, I choose me.” Maybe she believed that Anastasia would die either way. What bothered us with Drizella in this episode was that they seem to excuse everything she’s ever done by blaming Gothel. Yes, Gothel manipulated her, but a lot of people have been manipulated but chose not to do those things. Even Regina not turning dark, just because she’s having her hand forced in various ways. That being said, Drizrella did take responsibility a bit by admitting her faults and doing it for no reason, proving that her redemption went by so quickly because she never really want to be dark in the first place. This also proves the flashback and how she was more anxious to make an alliance and make a friend but, instead, she killed Gretel because of Gothel’s manipulation. 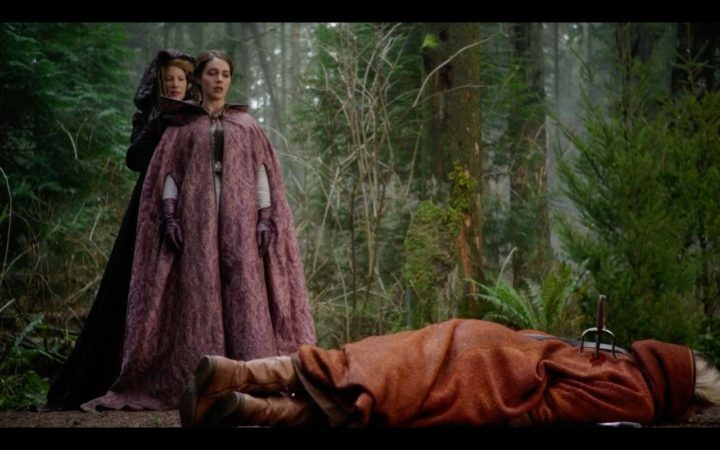 Although Drizella killing Gretel was due to self-defense; she was ready to walk away but Gretel kept pushing, and at the time that Drizella took action, it was either kill or be killed, which is just as good for the coven as doing it in cold blood. 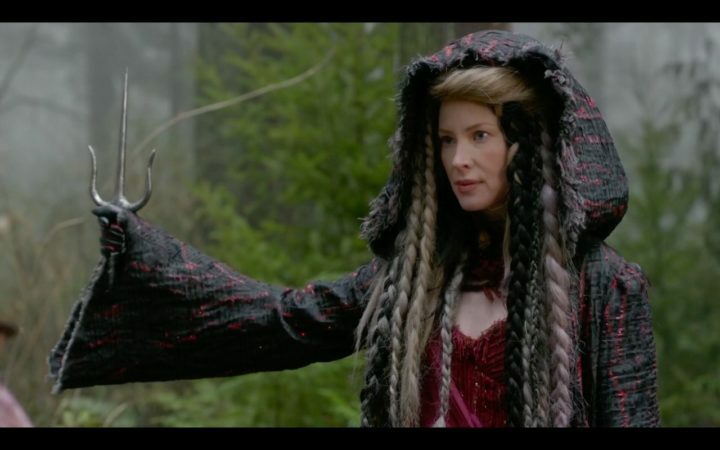 What does Gothel want with the coven? Why the test? Another nice thing to see was Gretel having candy-based magic. Everything she says also seems to reference candy, like how her brother was sour or her having a gumdrop candy and throwing away the lollipop. On the other hand, it was weird that the weapon Gothel gave them was a Sai, a weapon used in Karate. Not much culturally appropriate, but it does look a bit like the symbol in the tattoo. Between these flashbacks and the way Gothel behaved in the office upheaval scene, it seems pretty clear that she is one of the villains this season. What with her goading to Anastasia to kill Drizella, why is Anastasia killing Drizella necessary, anyway? Does she not need Anastasia to become the Guardian and just wants her power to get the dagger? Or maybe she doesn’t want Anastasia to become the Guardian because Drizella said that she doesn’t want Anastasia to lose her Guardianship, as if that was a thing that was familiar and special. 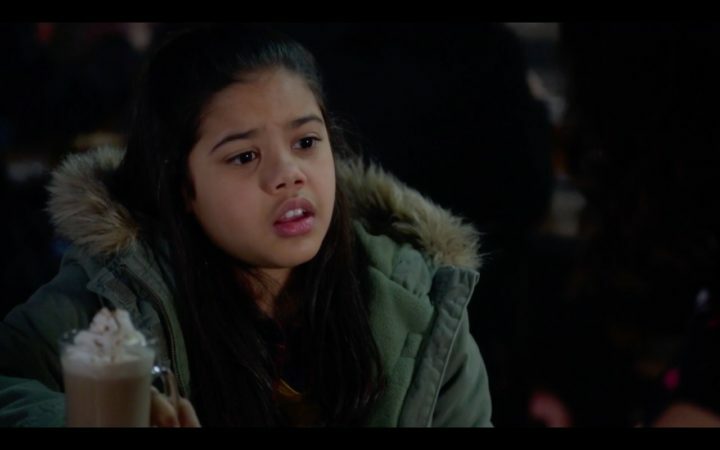 On the other hand, it was funny when Regina told Drizella, “it sounds like you’re saying goodbye” when Drizella was talking about what she’s learned; it sounds like a goodbye monologue. Drizella also told Regina that she doesn’t know how to cure Henry, but why didn’t she tell her what she poisoned Henry with? Surely, that would be an important piece of information for Regina to find a cure for the poison. The markings on Anastasia’s wrist, did Dr. Facilier put it on her or was it in there all along? Major curveball though when it comes to Dr. Facilier. He’s still a liar; he lied to Drizella with his oddly specific tarot cards, but then telling Regina that the cards tells that girls would be fine. So, he knew that nothing he did was going to cost some harm so he could do what he wanted. That being said, couldn’t he just help them find each other and ask Anastasia in the end for some magic because he wanted to help Henry? He could’ve just been awesome without the confrontation. 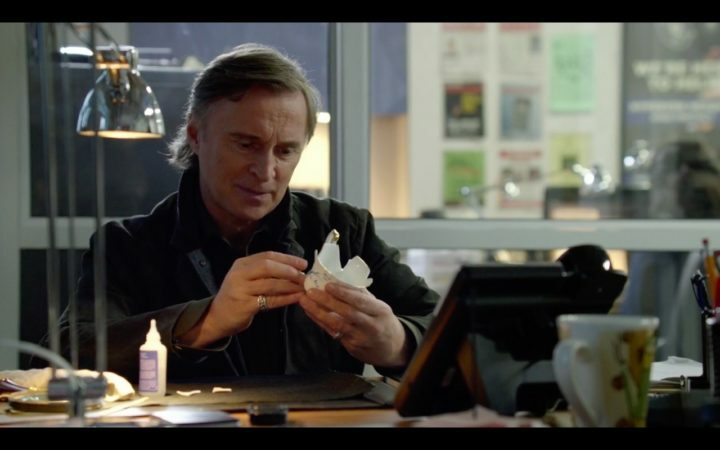 Maybe they are trying to make him good so he’d be a good match for Regina? Is it even in Regina’s card to find her happy ending with someone? After all, she did say before that her happy ending is to finally feeling at peace with the world, not with a man. Even it’s a part of her future, it doesn’t have to happen in the last several episodes. And why does it have to be Dr. Facilier? It was a lovely moment when Rumplestiltskin said, “every time I do good it brings me closer to [Belle], and that two sisters going off together, that means is a good day”. But then he had a back alley meeting with Dr. Facilier, in which Rumple made a strangely worded threat to Dr. Facilier. 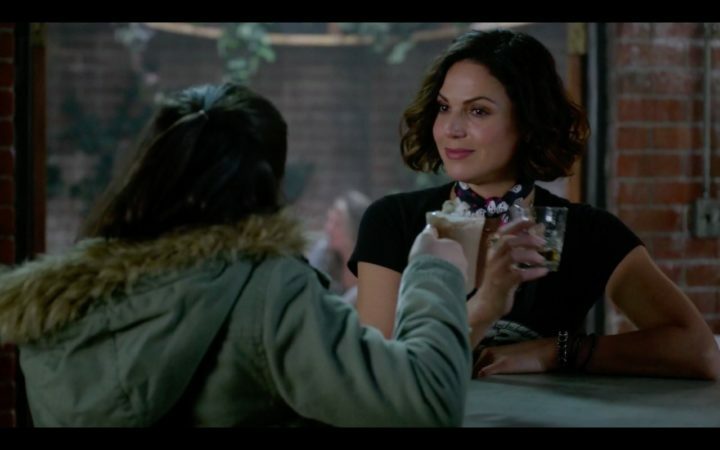 We also liked seeing both Regina and Rumplestiltskin in a room just by themselves being good because it’s good, while still exchanging a fun banter. It was also nice when Regina told Drizella, “My gift to you, is what I always wanted: someone to believe I can change”, which is exactly what she wanted all along. All the Regina and Lucy stuff was cute and fun to watch, save for the fact that there wasn’t a cinnamon in the hot chocolate that Regina gave Lucy. That being said, since when is Henry a loner? Hadn’t he made friends with everyone he meets? On the other hand, it was fun to see Lucy finally realized the true nature of her fairytale life when Regina told her how her dad and her curse-Dad were friends. Is Flynn’s barcade a nod to Flynn Rider? Who is JBH and what does it stands for? If Jack is the Candy Killer and is the one sending heart-shaped candies, is it possible he is Hansel as well? Is Nick/Jack under someone’s control? Furthermore, with Nick’s build, he would’ve attacked Ivy so easily, but we’ve all assumed the killer is a woman due to the killer’s build. Also, if he is indeed the one who attacked Ivy in the parking garage, he sure looks pretty good for having gotten sprayed with at least a little pepper spray not long ago. Jacinda seemed incredibly disappointed when the trick with the coin didn’t work. It was also kind of sad how, just when we are starting to enjoy Henry and Jacinda, the show is ending at the same time. Also, Henry and Jacinda talking about fairytales make them sound a lot like Lucy. Weaver trying to repair the teacup was touching, but why is he fixing it just now? That said, it was logically placed at the beginning of the episode to remind us of who Weaver is and what he’s trying to accomplish this season. We sure could use of those storylines, given how many storylines there are in the series. What’s going to be wrapped up next week? Are we going to stay with the Henry-Jacinda storyline, plus Jack the Candy Killer? What’s interesting though is how they wrap things quickly than we expect. So when will the curse be broken? 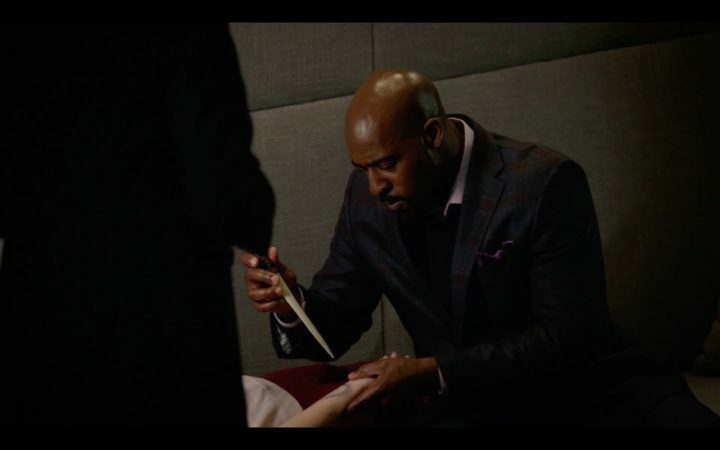 Going back to Dr. Facilier and Regina, another interesting that he said was when he said that he is a Witch Doctor, which makes him target, too. And if Jack/Nick is Hansel, does this mean he is awake or under someone’s control? Is he under someone’s control but isn’t necessarily awake? Does he even know what he’s doing? 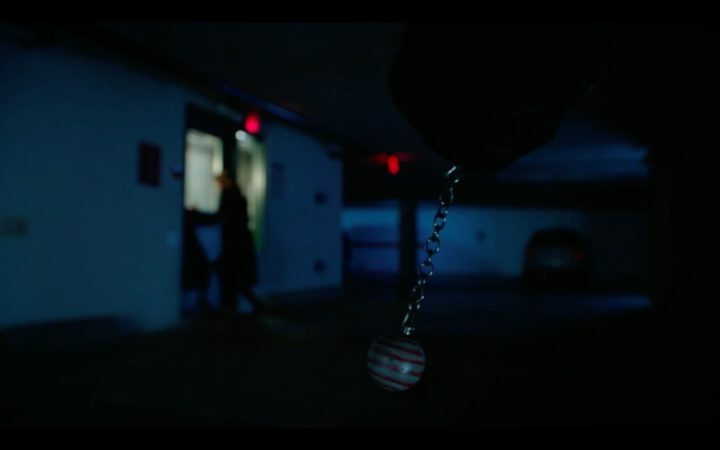 The Candy Killer’s keychain was also prominently shown as it was about to attack Ivy in the parking garage. What was that about? If he is Hansel, does he know that Drizella was the one who killed Gretel? And why would he frame Tilly if he really is the one killing witches? 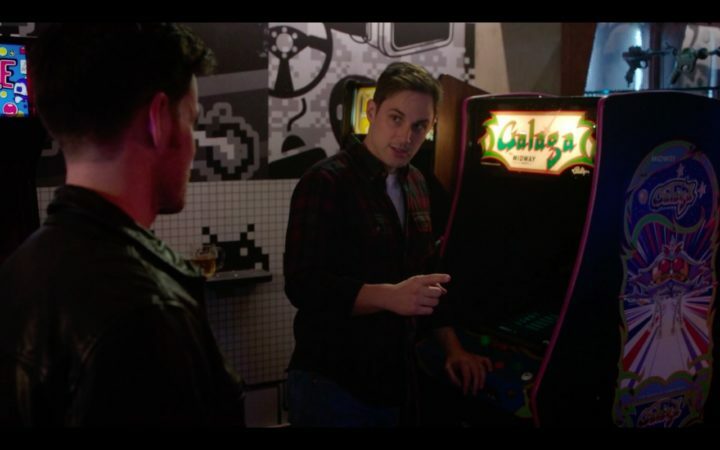 It seems like they are making Galaga very prominent. 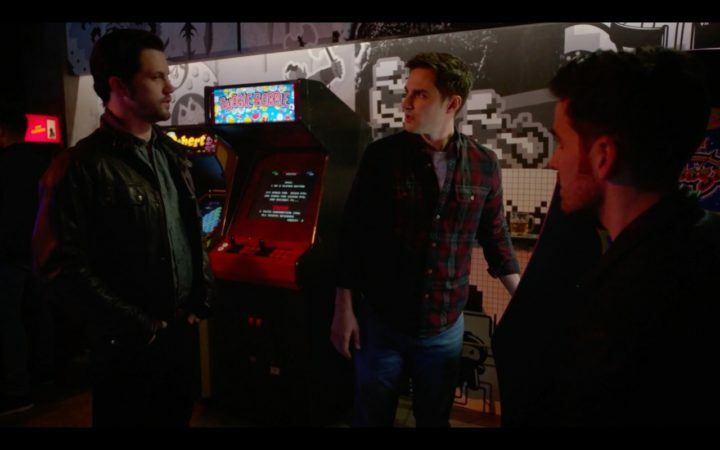 The little ship flying around shooting things in Galaga that Henry’s playing in the episode is the thing that comes by at the end of every episode of Once Upon a Time and shoots the name of Eddy Kitsis and Adam Horowitz. Going forward from here, the only thing left with this season is Henry and Nook’s heart poisoning and the curse that keeps them from being affected by those poisoinings. With lots of people are finally awake and Tilly on the run, what else do we have left for the season and the series? Is there anything we missed from “Sisterhood”? Did we missed anything from the episode? Fill in the comments section below or head over the forum to share your favorite and least favorite moments from “Sisterhood”, as well as discuss and find more theories, spoilers and other information about the future episodes!